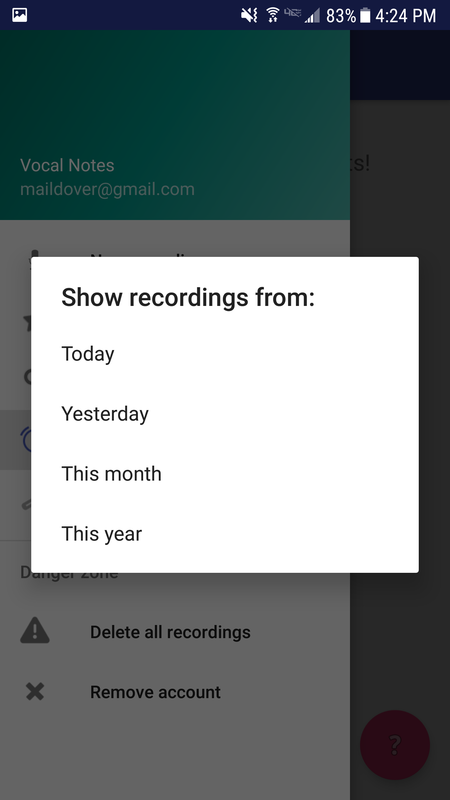 Vocal Notes is a Google Assistant app that lets you dictate anything you want, save it, and replay it later. 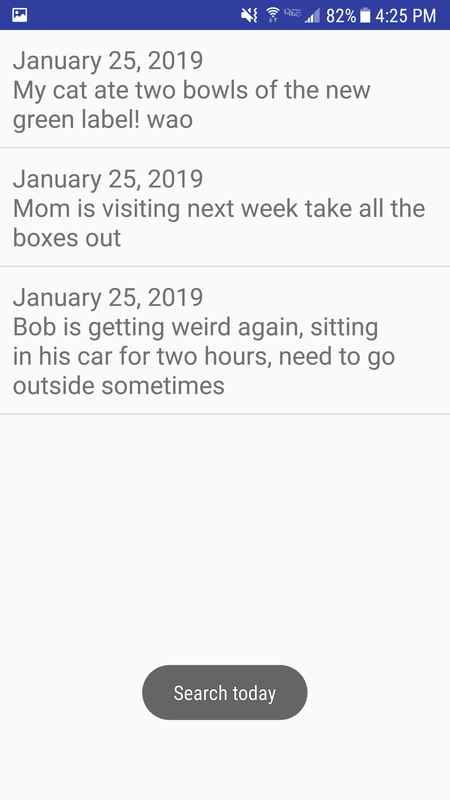 Since it's a voice to text app you can search recordings from certain date and even look for specific word or sentence you said in the past, such as shopping for some item, health related, family related, job related etc. 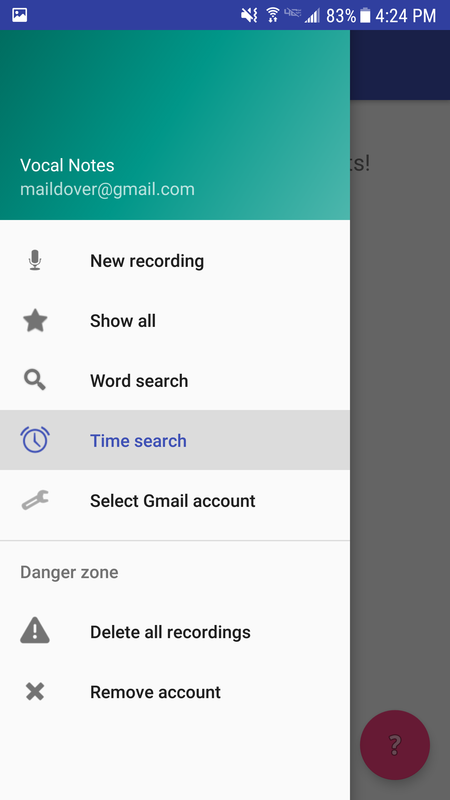 The benefit of Vocal Notes over other dictating apps is that its available anywhere there is Google Home enabled device or phone, and you don't need any screen or keyboard / touchpad to interact with it - all is done via voice commands! plus it accommodates you with Google Assistant's amazing voice recognition capabilities. Vocal Notes is accessible via any Google Home device (aka smart speaker) or Google Assistant app on Android and iPhone. Vocal Notes comes in two flavors, the basic (free) one and the paid one. The free and paid version all have same features, the only difference is that the free one let you save your recordings over the last month only. The paid version let you save and search your recordings with no limits on time. To get the paid version you need to purchase the Vocal Notes companion app, which is an Android app you can find on Google Play store. Anyone needs to keep some todo list, shopping list, gift ideas, job related issues, family related items, memories, ideas.. and what a better way to do it - just talk to the speaker! you can do it anytime anwhere where you have your Google Home, Android or iPhone within reach - no need to wait until you get somewhere to sit down and type, no need to memorise, to write notes, postit. Vocal Notes is part of Google Assistant ecosystem now. 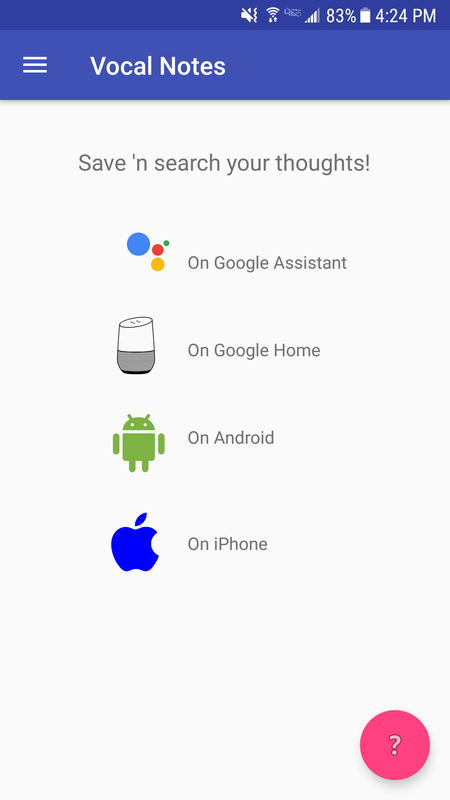 You can access it anywhere with Google Home enabled device (aka smart speaker) or via Google Assistant app on Android or iPhone. With Google Home, just say "ok google, talk to Vocal Notes". Then you will be talking directly to Vocal Notes app. See this youtube for demo. Use Vocal Notes by talking to Google Home (or Google Assistant on youtr phone), just say "talk to vocal notes". You can click any of the recordings, then edit it, update it or delete it. You can also select any of the recordings text and email it, sms it etc.